Happy Friday! It’s the day after Thanksgiving and that means it’s time for leftovers and the start of the holiday season! My eyes get extra sparkly right around now because it really is the most wonderful time of the year. Just a couple more days until the beginning of my all time favorite holiday season – the season of food indulgence and gift giving. 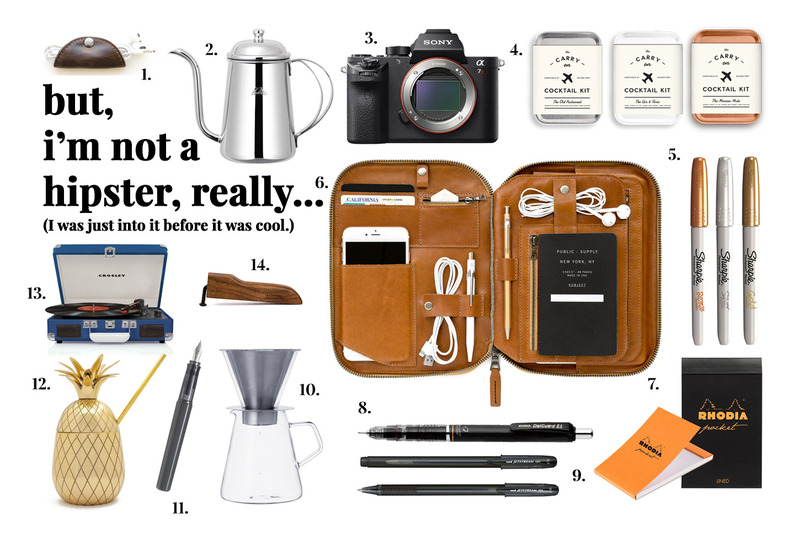 I’m obsessed with gift giving and I really really love gift guides so, here we go, these are my picks for 2015. 1. Short USB cables. Because you can never find them when you need one. These guys are neon and high-visibility. 2. This is the best portable speaker: small, stylish, and great sound. 3. Super long iPhone charging cable so you don’t need an outlet right next to you. 4. Every man needs a houndstooth tie. 5. These headphones are perfect for long haul flights and when you need to be just you and the music. 7. A gin advent calendar!! They have bourbon and whisky too. 8. Tick Tock You can’t go wrong with a watch! You could even buy you’re loved one a smartwatch. Companies all over the world are currently trying to develop one you can safely wear under water which would be perfect as a gift! 9. Minimal slim briefcase and messenger style laptop bag My husband, who’s a teacher uses this daily. He also uses grader for teachers and says it’s really useful to save time. You could even pay for someone to have an upgraded package as a present! 10. Bright leather orange wallet. 1. The cutest foxy knee high socks I ever did see. 2. So they can pack snacks. 3. A literal stuffed taco. 4. It’s a breakfast in bed tray! 5. Light the way with this kitty cat lamp. 6. Cute pillows for the win. 7. I wish this modern range came working in adult size. 8. 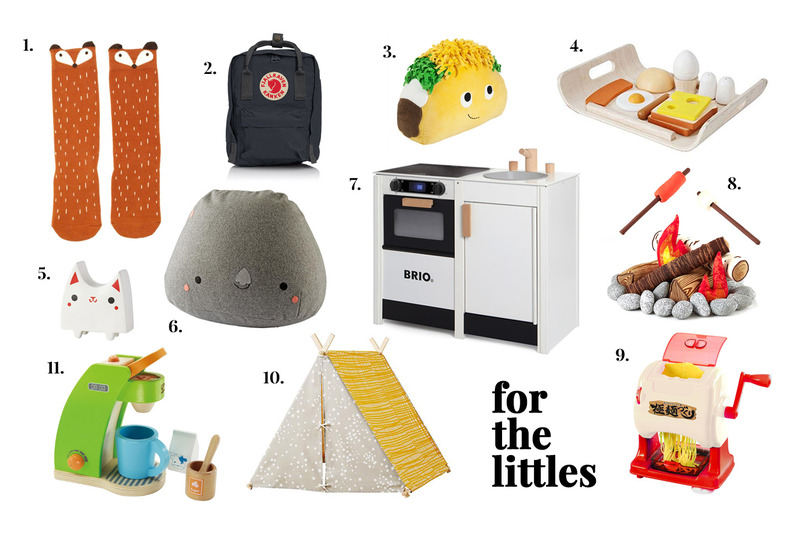 I really really want this plush campfire for myself, to be honest. 11. Who doesn’t love playing coffee barista? 1. Snoopy grilled cheese maker. 3. Fry up some cute. 4. Bake up some bear bread. 5. Sausage dog rolling pin. 6. Shape your hard boiled eggs into bunnies and bears. 7. Punch out seaweed faces and put them on EVERYTHING. 1. Keep your cords neat with a cord taco. 2. Make the perfect pour over with a gooseneck kettle. 3. A full-frame camera in a tiny package; perfect for vacation. 4. Wheels up and cocktails go hand in hand with these travel cocktail kits. 5. Leave your mark everywhere with metallic sharpies. 6. Handcrafted leather bag for all of your things. 7. Jot down those thoughts in these analog Rhodia notebooks. 8. A mechanical pencil with unbreakable lead. 9. Smooth as silk inky pens for doodling. 10. This Kinto pour over is easier to clean than the Chemex and prettier too. 11. Fountain pens for the lost art of letter writing. 12. Golden pineapple tumbler for handcrafted cocktails. 13. Everything sounds better on vinyl. 14. My favorite bottle opener. 1. Who doesn’t love a cupcake beanie? 2. Give the gift of knitting with this super chunky kit. 3. Treat your bestie to Easy Gourmet, my cookbook, full of deliciousness! 4. The perfect cereal bowl. 5. These salt and pepper grinders are pretty and functional. 6. Make some memories with an Instax camera. 7. A pretty white enamel pot, perfect for making hot chocolate. 8. A simple gold knot bracelet. 9. The cutest espresso mugs. 10. Instant retro-appeal with these teal plates, bowl, and mug. Such cool finds, so beautifully presented! Thanks for sharing, Steph. dude. this is the best. and i’ve had my eye on those dansk plates for forever. you don’t even know. 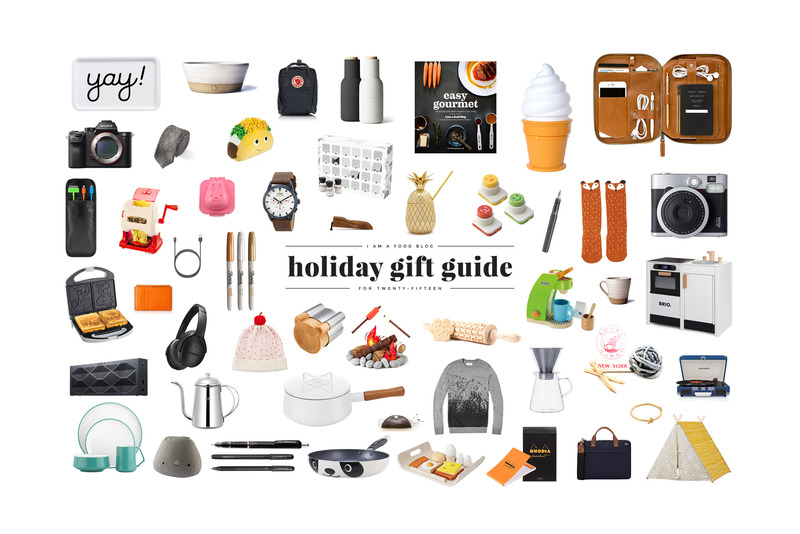 This is the most epic gift guide I’ve ever seen!!! Love it. LOVE THIS SO MUCH. that kids ramen maker! rabbit egg shaper! 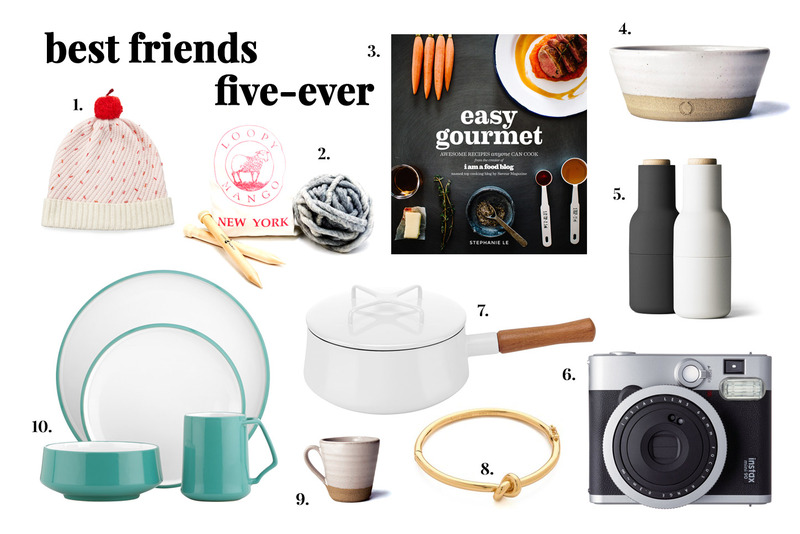 and dude i want all the farmhouse pottery goodness for myself ;) this list brought me some moments of pure joy. 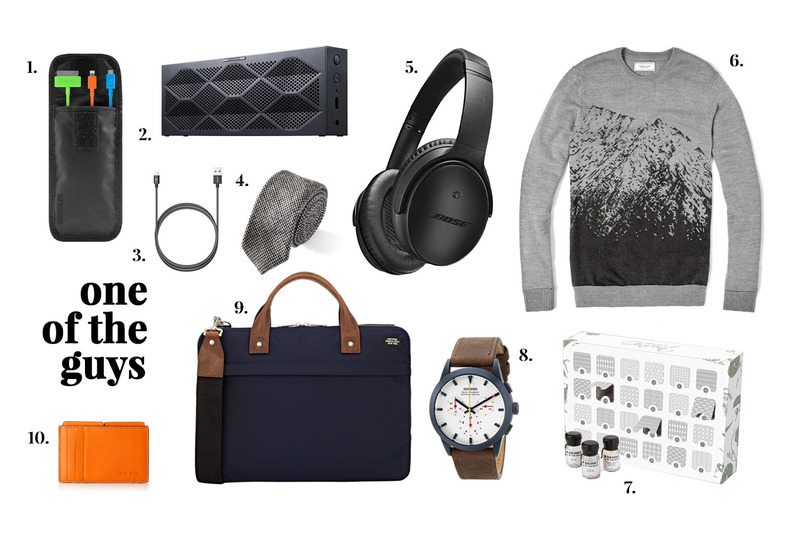 really inspiring my gift lists right now! OMGEEEEEEEEEE. This guide is my everything. I’m obsessed with all the guides. Guys. Littles. Cute lovers. Not hipsters. And obvi BFFs!!! 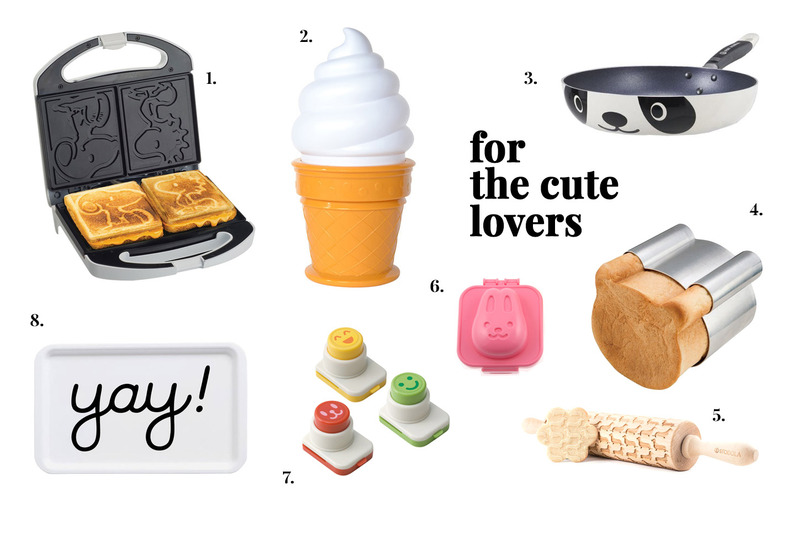 Gahhhh, that dachshund rolling pin–I’m gonna have to order one of them, stat!! WAIT this was really, really good! Mr. Taco was a big hit for my 5 year old! thank you!